We are looking for a seasoned Marketing professional with a strong commercial and leadership mindset to join as Regional Marketing Manager, West and Central Asia. In this role, you will provide leadership and guidance to the Marketing function, be a strong business partner to the managing director and lead a strong business marketing team supporting and adding value to the commercial organisation. Reporting to the Regional Managing Director, West and Central Asia, and being a core member of the Regional Leadership Team, you will play a key role in influencing the business priority of being customer centric and overall business direction based on marketing insights and expertise. The West Central Asia Region consists of India and Middle East Countries. 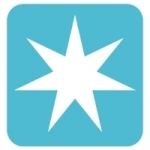 A significant and strategic role in Maersk where you will utilise your Marketing expertise to help set the business agenda and achieve the overall organizational goals. Through your day-to-day leadership and work, you will gain an in-depth understanding of business management in a market leader in the industry, sharpen your commercial acumen and enhance your stakeholder management skills. In addition, you will have visibility and exposure in the leadership team, regional and global commercial community for future career development within the organisation. - Develop and anchor the marketing plan in line with the business and drive the implementation of the right tools to deliver professional marketing e.g., automation tools. - Drive customer insights: gather, surface and share into all decisions. - Execute global campaigns (global products) and marketing activities working very closely with key stakeholders across the organization and the wider business, ensuring alignment on and ownership of objectives and defined outcomes. - By working closely with the wider team, create strong briefs, impactful messaging validated by customer insights, segmenting and targeting campaign audiences, defining and integrating marketing and communication channels (B, O, E) and tactics to deliver most impact. When agreed, create marketing material (especially for local and hybrid products) for global usage. - Ensure campaign readiness and relevance to local market implementation. - Track performance in line with global frameworks and continuously drive improvements on both ROMI and on cost function collaboration throughout customer journey to influence decision making. - +10 years- experience in marketing (B2B) or B2C with a degree in marketing or related field. - Exceptional stakeholder management, influence without authority and conflict resolution.